Sentinel takes a unique approach by investing more effort, than competing technologies, in the front end processing of its facility, to ensure cleaner and higher calorific feedstock. Due to this effort, Sentinel’s densified fuel pellets maximize the output of clean electricity, while removing unwanted and toxic materials during the front end process. This helps Sentinel produce feedstock at a calorific of up to 6,000 kcal/kg with maximum moisture content of 8.5%! In comparison to typically produced RDF, densified feedstock is easier to use and store without production of high levels of unwanted residue as in typical RDF Facilities. By focusing on its front end processing capabilities, Sentinel assures its client of its ability to remove landfill materials and reduce CO2 emissions, making it's process more sustainable and environmentally friendly. Producing “Green Electricity” from waste via use of the patented Sentinel pellet, Trademarked “Enerpax+”, is the primary end use, while ensuring the diverted waste reduces levels of Green House Gas (CO2) from the atmosphere, as well as working towards a zero waste to landfill objective. Since proving its patented technology, Sentinel has moved forward with its financing partners in taking up a “Global Initiative”, in regions such as MENA and South Asia, where countries have recognized the immediate need to eliminate their waste dumping problems with sustainable technology, to both produce electricity and clean up their “Environmental Footprint”. Sentinel’s technology was successfully implemented at the Dongara waste processing facility in the Greater Toronto Area (GTA), in Canada, with Enerpax+ fuel pellets used within the energy production field to reduce dependence on fossil fuels such as coal and coke, at power plants, cement plants and as preferred energy source in the Greenhouse sector of Ontario, Canada. 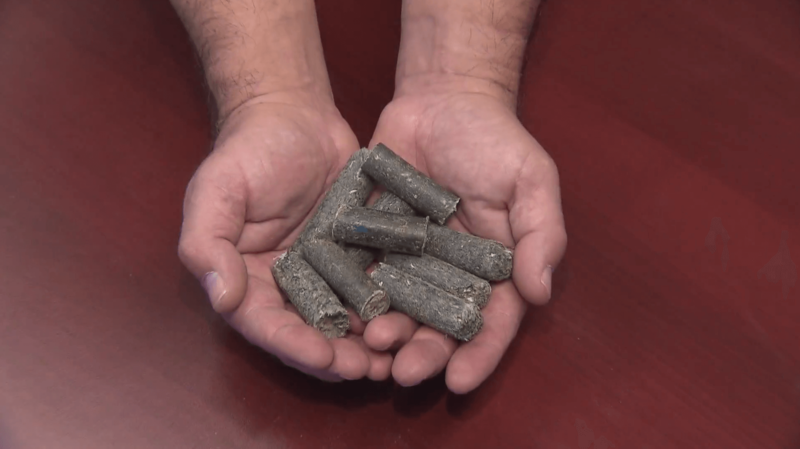 A number of Canadian and American Companies including AES and Lafarge Canada Inc. completed test burns of the EnerPax+ pellets for use in power generation and cement production (comingled with coal), and received very positive results. The pellets can also be used as feedstock for producing transport quality diesel oil. Sentinel’s technology equipment partners involved in the pellets to power design, also oversee the equipment manufacturing through to commissioning, coupled with senior management support from Sentinel forces. The Sentinel technology is a mainstay for those government agencies looking to lower energy expenditures, build new revenue streams, eliminate waste disposal costs and minimize environmental impact. Our partners specialize in waste-to-energy rotary gasification systems and high temperature ceramic heat exchanger technologies that offer greater flexibility and lower environmental impact than other gasification systems. Yay! Your Message Has Been Sent.